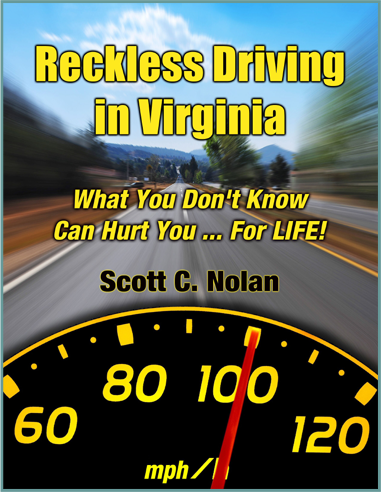 Scott C. Nolan devotes 100% of his practice to serious traffic defense and criminal litigation in state and federal courts. He is always highly prepared and his aggressive and effective representation of clients keeps him in court almost every single day throughout Northern Virginia, especially Fairfax County, Arlington County, Prince William County, Loudoun County, Stafford County, Fauquier County, Culpeper County, the cities of Alexandria, Fairfax, Manassas, Leesburg and Manassas Park and the towns of Vienna, Falls Church and Herndon as well as the Federal Eastern District of Virginia. 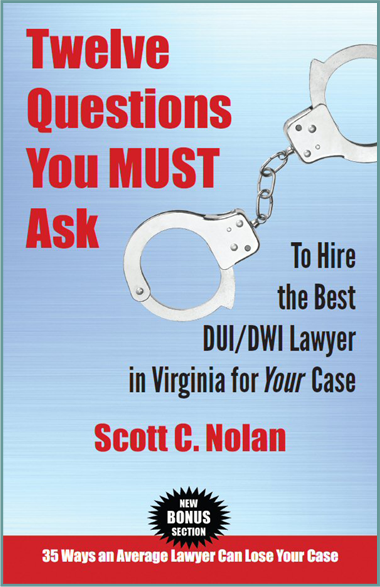 Scott has been practicing law in Northern Virginia since 2000. 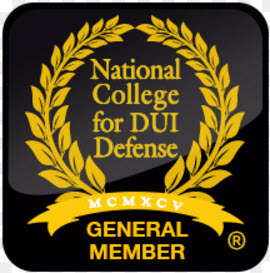 As a member of the National College for DUI Defense and the National Association of Criminal Defense Lawyers, he is committed to success through knowledge and works continuously to hone h is knowledge of science and the law. He is well known to both courts and clients for his thorough preparation, his experience and his judgment. He has represented thousands of clients in criminal cases and is trained in the highly specialized fields of DUI/DWI Breath and Blood testing as well as forensic toxicology and the administration of Standardized Field Sobriety Tests. Outcomes Matter Most – Scott effectively pursued a few different defense strategies until one course became the strongest. Scott was excellent on his feet on the day of court effectively negotiating a settlement that worked well for me. My experience being represented by Scott Christopher Nolan, A+ – I genuinely felt that Mr. Nolan went the extra mile to reassure me that everything would work out and provided moral support throughout the stressful process. The outcome of my case was favorable, which of course is the most important aspect of a review. And so, after enough time had passed, and I became eligible to initiate a hearing to have my charge expunged, I did not hesitate to call Mr. Nolan to again for representation! I am generally not the type to write a review, however Mr. Nolan truly deserves a thank you for his efforts and successes with my case. 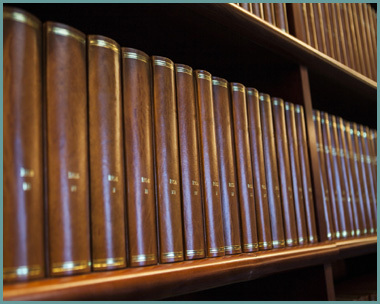 Great DUI Lawyer – Great Lawyer, very knowledgeable. kept me informed about my case,, always returned my phone calls. I think went above and beyond what I payed him to do. I am grateful to have had Mr. Nolan represent me for my DUI – I came to Mr. Nolan with a charge of DUI. I had a .28 B.A.C., and freely admitted to the arresting police officer that I was, indeed, drunk. Somehow, Mr. Nolan was able to get my B.A.C. thrown out and confine my penalty to a restricted driver’s license and an Interlock. The judge told me that I was getting off very lightly, and warned me that if he saw me again that I would serve the mandatory sentence. Unfortunately, I was unable to quit drinking at that time. I had violations of my Interlock, resulting in having to go back to court. Thankfully, I hired Mr. Nolan to represent me for my return appearance in front of the same judge. I went to court fully prepared to spend at least 10 days in jail. Miraculously, Mr. Nolan was able to plead my case, pointing out that I had voluntarily entered, and completed, a 28 day rehabilitation treatment center. I avoided jail, did not have my license revoked or even suspended/restricted, and only had the Interlock time extended as my penalty. Without Mr. Nolan, I would have never been given this second chance, and I have remained sober since. 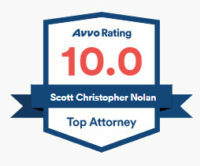 Amazing Lawyer – I was extremely impressed with how Mr. Nolan handled my case. I had full confidence in him and he performed in the best way. He is great at explaining the situation and being completely trustworthy. I highly recommend him. 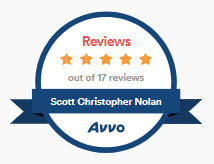 Scott Nolan Review – Mr. Nolan was extremely professional and confident when handling my DUI case. He explained the entire situation from the first moment I met him and walked me through the process during the trial. With Mr. Nolan’s help, I was able to have my case completely dismissed. I am so thankful I chose him as my lawyer. Satisfied Client – I was in the unfortunate predicament of being charged with a DUI and Refusal to submit to a breath test. Never having been in a situation like this, Scott’s knowledge and expertise helped guide me through the legal process. He always kept me informed about every option and possible scenario, taking great care to give me the best legal advice at all times. With the help of an expert witness, secured by Scott, my charges were reduced and dismissed without having to go through a trial. Although my situation was not good, I had complete faith in Scott’s abilities and the end result was what we both considered a very positive outcome. 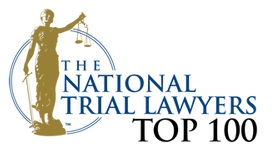 Highly Recommended – Mr. Nolan was very knowledgeable of the specific laws and developed a strategy for my situation to accomplish my objective of a reduced sentence. He gave me an overview of the process and identified pre-trial actions for me to complete that I would not have considered. I received the judgment I was hoping for and I know it was because of the preparation and pre-trial negotiations. Mr. Nolan was recommended to me through a professional relationship and I can now strongly recommend him to anyone requiring legal assistance. Click here for more DUI information.